There are basically two options with regard to the look of your deck. You can go with the rustic wood look, constantly applying clear sealer to prevent water damage and deterioration. Sounds daunting? There is another way. You can have a lively, waterproofed deck coating with your color choice of deck paint. You can have a deck waterproofing system installed over your wood sub-floor. 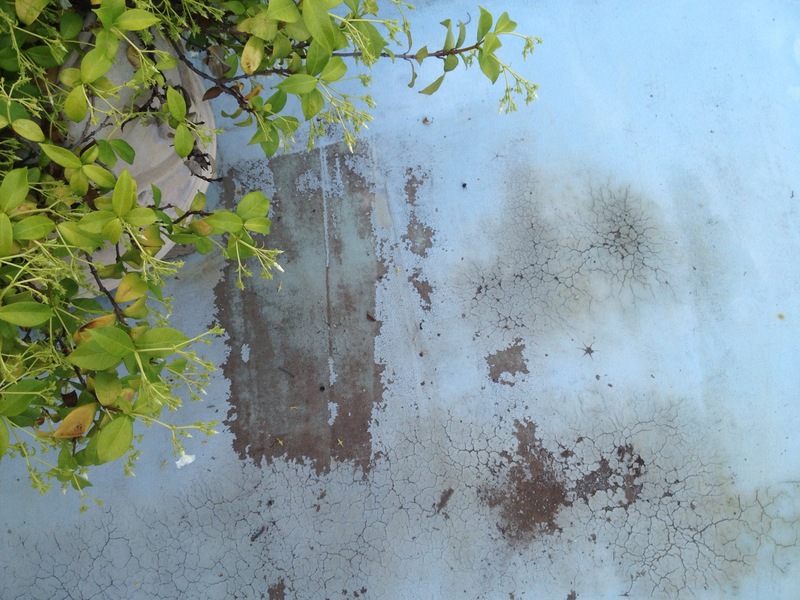 At Prestige Deck Coating, we are specialists in deck repair coatings systems. We cannot build you a wood deck with a rustic feel. We can build you a gorgeous, anti-slip waterproof decking that will last for years, virtually maintenance free! Rancho Santa Margarita can get sweltering hot in the summer. Flash floods are not uncommon in the winter, after dry summers. The weather extremes can punish your deck. In order to cut down on your maintenance costs and time, we suggest installing our 5 layer waterproofing membrane. It is low maintenance, cost-effective, and looks stunning. Think colorful, think deck paint coatings! 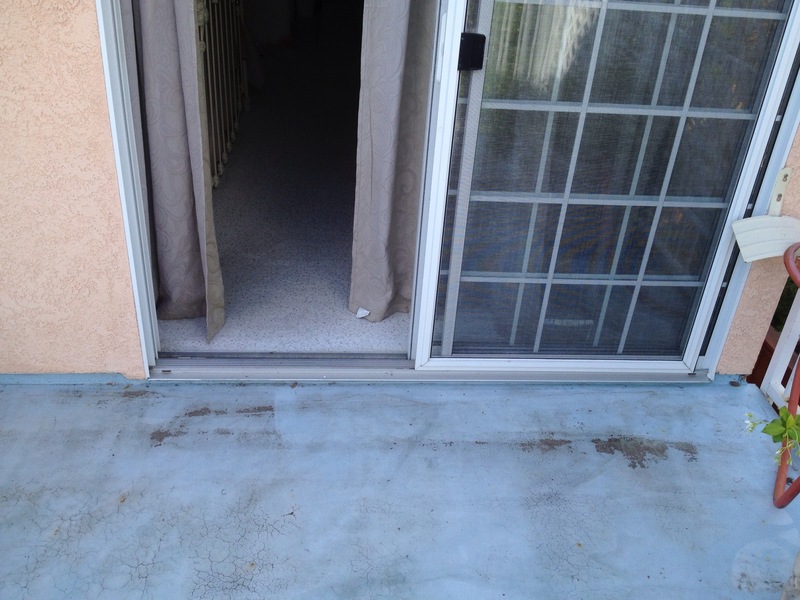 One such recent Rancho Santa Margarita deck project had existing deck paint which was peeling down to the concrete and was leaking. Below is a step-by-step plan of list of services performed, so you can get a feel for what we do, and how we can give you a superior deck paint waterproofing solution. We first removed all existing deck material which was delaminating, including deck paint and concrete layers. Because this particular deck was leaking at the door pan, we removed and repaired the stucco around window perimeter in order to access door removal procedure. -After door removal, we installed a new deck flashing door pan to prevent the further possibility of water leaking at seam of door and decking. 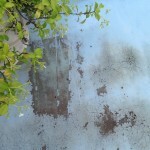 -We applied a new biothane moisture barrier prior to stucco removal and repair. -We re-caulked seams around door in order to waterproof. After all the foundational deck repair elements were performed, we then installed our Crete Decking System. This is a multi-layer waterproofing membrane is designed for use over plywood sub-floors. So, we can even lay down our system over your existing wood deck! To top off our deck resurfacing project, we apply two coats of our epoxy fortified, concrete deck paint sealer. It is of course in the color of your choice! Brighten up your balcony, patio, stairways, walkways, roof and pool decks this summer! 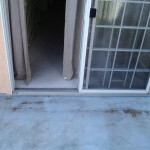 Prestige Deck Coating has expert installers with 30-40 years experience in the deck repair industry. We offer free estimates and up to a 10 year warranty! Welcome the rain and color with a new deck paint coating today!